Long period of intensive crop cultivation deplete the available soil silicon (Si). Depletion of available Si in the soil could be one of the possible limiting factors amongst others contributing to declining yields. The lower values for Si in the soil can be justified due to (i) severe and frequent soil erosion and sediment transportation. (ii) Usually plants absorb Si almost equal to the concentration of most of macronutrients. (iii) Due to the desilication process, Si in the soil is continuously lost as the result of leaching process. Subtropical and tropical soils are generally low in available Si and would benefit from Si fertilization. The silicon content in some regions might be limited to sustainable crop production. Hence, improved Si management to increase yield and sustain crop productivity appears to be necessary in temperate as well in tropical countries. In order to address this problem of yield decline or stagnation, it seems necessary to survey the Si status of agriculturally important soils of different parts of the country and develop region-specific integrated nutrient management systems that include the Si element. Farmers are intensifying land use without proper nutrient management practices which results in depletion of nutrients from soil, which is linked to yield decline. According to a recent hypothesis, the yield decline is associated with a decrease in the effective N supply from soil although total soil N remains unchanged . However, another possibility that could be contributing to the overall decline in yield might be the lack of or depletion of plant-available Si. The exogenous application of Si is not routine with the belief, that the soil itself can sustain its supply. Unfortunately the silica that occurs in soil is in an unavailable polymerized form and for its absorption by plants it has to be depolymerized and rendered soluble by means of biological or chemical reactions in the soil. Further, the silicon removed from world arable soils is estimated to the tune of 210–224 million tons annually (FAO estimate). The need for proper Si management to increase yield and sustain crop productivity appears to be necessary in temperate as well in tropical countries. In addition, the Si diminution in the soil can occur in intensive cultivation practices and continuous monoculture of high-yielding cultivars. As a result, these soils are generally low in available Si. Rice and sugarcane grown in rotation on organic and sandy soils have shown positive responses to pre-plant applications of calcium silicate slag . Silicon is the second most abundant constituent in the earth’s crust . It constitutes 27.7 % of the total weight in soil after the oxygen (47 %) . It ranges from 200 to 300 g Si Kg−1 in clay soil and 450 g Si kg−1 in sandy soils [5, 6]. Its content in soil varies from <1 to 45 % by dry weight . The traditional practice of collecting the ashes from the back yard of houses supplies not only potash but also silicon. Silicon is an agronomically important fertilizer element that enhances plant tolerance to abiotic stresses . Silicon fertilizer has a double effect on the soil–plant system as under. (i) Improved plant-silicon nutrition reinforces plant-protective properties against diseases, insect attack, and unfavorable climatic conditions. (ii) Soil treatment with biogeochemically active silicon substances optimizes soil fertility through improved water, physical and chemical soil properties, and maintenance of nutrients in plant-available forms. Plants absorb silicon from the soil solution in the form of monosilicic acid, also called orthosilicic acid [H4SiO4]. The largest amount of silicon is absorbed by sugarcane (300–700 kg of Si ha−1), followed by rice (150–300 kg of Si ha−1), and wheat (50–150 kg of Si ha−1) . On an average, plants absorb from 50 to 200 kg of Si ha−1. Such values of absorbed silicon cannot be fully explained by passive absorption (such as diffusion or mass flow) because the upper 20 cm soil layer contains only an average of 0.1–1.6 kg Si ha−1 as monosilicic acid [10, 11]. Results have shown that rice roots possess specific ability to concentrate silicon from the external solution . Yoshida  revealed that rice plant absorbs silica in the form of ortho-silicic acid (H4SiO4 or Si (OH)4) along with water from the growing medium and the water is lost through transpiration. Because of continued absorption and transpiration, the Si concentration increases and at higher levels ortho-silicic acid polymerizes into silica gel (SiO2⋅nH2O) through a non-enzymatic reaction. There are three classes of silicon absorbers i.e. (a) Si accumulator crops (rice, wheat, millet, sugarcane) as they require large quantity of silicon, (b) Si non-accumulator-Snapdragon (Antirrhinum majus) and (c) Si excluder (soybean) [14, 15]. In the plant, silicon is transported from the root to shoot by the transportation stream in the xylem (Fig. 1). Soluble monosilicic acid may penetrate through cell membranes passively. After root adsorption, monosilicic acid is translocated rapidly into the leaves of the plant in the transpiration stream . Silicon is concentrated in the epidermal tissue as a fine layer of silicon–cellulose membrane and is associated with pectin and calcium ions. By this means, the double-cuticular layer can protect and mechanically strengthen plant structures. With increasing Si concentration in the plant sap, monosilicic acid is polymerized. The chemical nature of polymerized silicon has been identified as silicon gel or biogenic opal, amorphous SiO2, which is hydrated with water molecules. Monosilicic acid polymerization is assigned to the type of condensable polymerization with gradual dehydration of monosilicic acid and then polysilicic acid. Plants synthesize silicon-rich structures of nanometric (molecular), microscopic (ultrastructural), and macroscopic (bulk) dimensions. 90 % of absorbed silicon is transformed into various types of phytoliths or silicon–cellulose structures, represented by amorphous silica. Partly biogenic silica is generated as unique cell or inter-cell structures at the nanometer level . The chemical composition of oat (Avena sativa L.) phytoliths (solid particles of SiO2) comprises amorphous silica (82–86 %) and varying amounts of sodium, potassium, calcium and iron . The content of silica in plants is equivalent to or more than the major nutrients N, P, K supplied through fertilizers. Higher plants differ characteristically in their capacity to take up silicon . Some plants absorb more silica than they require and this gets deposited on tissues as it cannot be excreted . Depending on their SiO2 content [expressed as a percentage of shoot dry weight (SDW)], they can be divided into three major groups: wetland Gramineae, such as wetland rice or horsetails (Equisetum), 10–15 %; dryland Gramineae, such as sugarcane and most of the cereal species and a few dicotyledons, 1–3 %; and most dicotyledons, especially legumes, <0.5 % . Among the plants, silica concentration is found to be higher in monocotyledons than in dicotyledons and its level shows an increase from legumes<fruit crops<vegetables<grasses<grain crops . The aerial plant parts accumulate more Si than roots. In general the Si content of shoots tend to decline in following order; liver worts>horse tails>club mosses>mosses>angiosperms>gymnosperms>ferns . Grasses accumulate 2–20 % foliar dry weight as hydrated polymer or silica gel. Rice accumulates 4–20 % Si in straw and almost every part contains this element which is not at all added exogenously as fertilizer as done with nitrogen, phosphorus and potassium, the trinity of nutrients. In rice leaf blades 90 % or more of silicic acid exists as silica gel (polysilicic acid) and 0.5 % as low molecular weight silicic acids (largely composed of ortho-silicic acid). It was found that silica content of rice plant increased with the age of the crop from transplanting to harvest . The silica content of rice straw at harvest ranged from 4.8 to 13.5 % in the dry season and from 4.3 to 10.3 % in the wet season . It is estimated that a 12 month old sugarcane crop accumulates about 380 kg Si/ha . Leaf analysis can be a useful indicator of Si status, and optimum growth requires minimum leaf tissue concentration of 0.6 % Si . Sugar yield was optimal with a leaf concentration of ≥0.60 % Si. A recent survey of Florida sugarcane fields determined that estimated 25 % of organic soils had production losses >10 % due to insufficient leaf Si concentration . Plants take up different quantities of silica according to their species . Rice, oat, rye and wheat, seed coat accumulate most of the silica and grain the least . It was observed that the leaves and stems of maize and sorghum and the leaves of sugarcane and bamboo had highest silica than other plant parts. Ishizuka reported that silica content of rice straw ranged from 4 to 20 % with an average of 11 % . Plants of the family Poaceae, Equisetaceae and Cyperaceae exhibit high silicon accumulation (>4 % Si), the Cucurbitales, Uritcales and Commellinaceae show intermediate levels (2–4 % Si) while most other species contain less silicon (<2 % Si).The mean relative silicon content of certain plant species are given in Table 1. Plant products are relatively higher in silicon content than meat and meat products. The food as well as fruits consumed by man or animals are not free from silicon and contain varying levels of silicon. Water, vegetables, fruits, milk and milk products contain varying levels of silicon. The Si concentration of some of the food and fruit crops is given in Table 2. Although silicon is a very abundant element, for a material to be useful as a fertilizer, it must have a relatively high content of silicon, provide sufficient water-soluble silicon to meet the needs of the plant, be cost effective, have a physical nature that facilitates storage and application, and not contains substances that will contaminate the soil . Many potential sources meet the first requirement (Table 3); however, only a few meet all of these requirements. Crop residues, especially of silicon-accumulating plants such as rice, are used as silicon sources. However, the crop demand for application of Si fertilizer generally exceeds that which can be supplied by crop residues. Inorganic materials such as quartz, clays, micas, and feldspars, although rich in Si, are poor silicon-fertilizer sources because of the low solubility of the Si. Calcium silicate, obtained as a byproduct of steel and phosphorus production, is one of the most widely used silicon fertilizer. Potassium silicate, though expensive, is highly soluble and can be used in hydroponic culture. Other sources that have been used commercially are calcium silicate hydrate, silica gel, and thermo-phosphate . Silicon alleviates certain nutritional disorders like akiochi or bronzing. Liang et al. strongly suggested that Si may be involved in metabolic or physiological and/or structural activity in higher plants exposed to abiotic and biotic stresses. The Si in plants is found to alleviate many biotic and abiotic stresses, leading to the application of silicates either directly to crops or incorporate it into the fertilizers applied. It does not form a constituent of any cellular component but is primarily deposited on the walls of the epidermis and vascular tissues conferring strength, rigidity and resistance to pests and diseases. The effect of Si on plant resistance to pests is considered to be due to accumulation of absorbed Si in the epidermal tissue or expression of pathogensis-induced host-defense responses. Accumulated monosilicic acid polymerizes into polysilicic acid and then transforms to amorphous silica, which forms a thickened silicon–cellulose membrane and which gets associated with pectin and calcium ions. By this means, a double-cuticular layer protects and mechanically strengthens plants. Silicon might also form complexes with organic compounds in the cell walls of epidermal cells, therefore increasing their resistance to degradation by enzymes released by the rice blast fungus (Magnaporthe grisea M.E. Barr). Si gets associated with lignin–carbohydrate complexes in the cell wall of epidermal cells . It is found to suppress the activity of certain enzymes particularly invertase, resulted in greater sucrose production in sugarcane and the reduction in phosphatase provided a greater supply of essential high energy precursors needed for optimum growth. The mechanism for Si-induced resistance to diseases is due to (i) Si acting as a physical barrier and (ii) soluble Si acting as a modulator of host resistance to pathogens. Silicon is deposited beneath the cuticle to form a cuticle-Si double layer which mechanically impede penetration of fungi and thus disrupt the infection process. Application of silicate silicon at 1,000 kg/ha reduced neck blast by 30.5 % over the control (Table 4). Silicon nutrition suppressed the leaf and neck blast, brown spot, sheath blight, leaf scald, grain coloration, stem rot, bacterial leaf blight and root knot nematode infection in rice and many other diseases in different crops (Table 5). A research team in Florida headed by Lawrence Datnoff demonstrated the effectiveness of Si enrichment in controlling several diseases of warm-season turfgrasses. About 30 % of gray leaf spot on St. augustine grass was controlled by Si applications, and its addition increased the effectiveness of fungicide treatments . Common bermuda grass exhibited a doubling of Si content when its growth medium was supplemented with calcium silicate . In bermuda grass, leaf spot caused by Bipolaris cynodontis was suppressed up to 40 % by the application of Si. This study demonstrated that addition of Si can increase the disease tolerance. Silicon stimulates chitinase activity and rapid activation of peroxidases and polyphenoxidases after fungal infection . Glycosidically bound phenolics extracted from Si amended plants when subjected to acid or ß-glucosidase hydrolysis displayed strong fungistatic activity. Dann and Muir  reported that pea (Pisum sativum L.) seedlings amended with potassium silicate increased the activity of chitinase and ß-1,3-glucanase against the fungal blight caused by Mycosphaerella pinodes. In addition, fewer lesions were observed on leaves from silicon-treated pea seedlings than on leaves from pea seedlings not amended with silicon. The deposition of silica on epidermal layers offers a physical barrier to insects. Sucking pests and leaf eating caterpillars have a low preference for the silicified plant tissues. The incidences of stem maggots, green leaf hopper, brown plant hopper and white backed plant hopper, leaf folder etc. in rice were reduced due to Si nutrition. Use of ash in the home to control aphids is an old age practice in rural India. Application of Si to corn affected the infection of the Spodoptera. In wheat and sorghum silicon negatively affected the preference and reduced reproduction rates of the green bug Schizophis graminum (Table 6). Rice with low tissue Si is associated with increased susceptibility to insect pests and fungal diseases as well as increased problems with crop lodging . White fly (Bemisia tabaci) is an important pest of cucumber, cotton, sugarcane etc. Its excreted honey dew leads to the formation of sooty moulds which reduces photoreception mechanically and thus reduces the yield. Both soil and foliar application of Si as calcium silicate increased the mortality by nymphs of white fly. In 2002, Chinese researcher, Chang  revealed that Si fertilizer can shorten the leaf lesion caused by bacterial leaf blight by 5–22 %. Reducing the size of lesions is directly proportional to the reduction of soluble sugar in the leaves due to the presence of silicon. Application of 200 kg silica ha−1 can reduce the infection of dirty panicle (grain discoloration) by as much as 18 % and increases rice yield by 20 %. Chinese scientists reported that when the available SiO2 in soil is increased from 60 to 220 ppm, the silicon content in flag leaf increased correspondingly from 7.4 to 18.7 %. Meanwhile the neck rot infection was observed to be reduced from 8.6 to 1.5 % while pink stem borer infection was reduced from 33.6 to 6.6 %. Silicon nutrition alleviates many abiotic stresses including physical stress like lodging, drought, radiation, high temperature, freezing, UV and chemical stress like salt, metal toxicity, nutrient imbalance and many others . It increases drought tolerance in plants by maintaining plant water balance, photosynthetic efficiency, erectness of the leaves and structure of xylem vessels under high transpiration rates due to higher temperature and moisture stress . The beneficial effects are attributed to Si deposition in the cell walls of roots, leaves, culms and hulls. Silicon deposits in cell walls of xylem vessels prevent compression of the vessels under conditions of high transpiration caused by drought or heat stress. The silicon cellulose membrane in epidermal tissue protects plants against excessive loss of water by transpiration. This action occurs owing to a reduction in the diameter of stomatal pores and, consequently, a reduction in leaf transpiration. The Si deposition in roots reduces the binding sites for metals resulting in decreased uptake and translocation of salts and toxic metals from roots to shoot. There are several hypotheses to combat abiotic stresses viz., (a) improved photosynthetic activity, (b) enhanced K/Na selectivity ratio, (c) increased enzyme activity, and (d) increased concentration of soluble substances in the xylem, resulting in limited sodium adsorption by plants. Si alleviated effects have been associated with an increase in antioxidant defense mechanism of plants (Table 7). There are various types of mechanisms within the plants to alleviate different stresses (Fig. 2). Silicon deposited in the plant tissues helps to alleviate water stress by decreasing transpiration and improves light interception characteristics by keeping the leaf blade erect . Accumulation of Si will form a thick silicated layer on the leaf surface which effectively reduces cuticular transpiration. The findings from Japanese researchers revealed that the application of silica will reduce transpiration loss by as much as 30 %. A well-thickened layer of silica gel associated with the cellulose in the epidermal cell walls, which reduces water loss, while an epidermal cell wall with less silica gel will allow water to escape at an accelerated rate . Kaya et al. reported that inhibition of plant growth was significantly alleviated by Si supplement. Under water stress, Si significantly increased the dry weight of shoots and total biomass of maize (Table 8). Lux et al. noted that Si application increased growth of Sorghum bicolor, grown under water stress. Water stress tends to increase biomass partitioning to roots, increasing root: shoot ratio . It reduces leaf concentration of calcium (Ca) and potassium (K) in maize plants, but the addition of Si increases these nutrient levels; Ca level remains normal in well watered conditions under the high-Si treatment, but K was lower. It was also suggested that silica in plants filter harmful ultraviolet radiation reaching leaf surface, acting as ‘windows’ . Silicon can also alleviate imbalances between zinc and phosphorus supply. Silicon supply increases the photo assimilation of carbon and also promotes the assimilated carbon to the panicle in rice . It is probably the only element which is able to enhance the resistance to multiple stresses. The mechanism of such protection is due to Si binding with metals and preventing their concentration to toxic levels at localized sites. Iron, manganese and aluminum are the metals most often found to be less toxic in the presence of Si. In Si-accumulator plants, iron and manganese are immobilized within the roots before they can be transported to shoots . This is enhanced in wetland plants because Si increases the rigidity and volume of aerenchyma (airfilled spaces in roots and shoots) that favours the transport of oxygen into the roots, oxidizing iron and manganese into their less toxic form. In case of non-accumulator plants, Si can suppress the transport of metals to shoots by forming complexes with the metals in root cell walls. Some nutrient elements like calcium can also be immobilized in this way. Gong et al. reported that application of Si can increase dry matter (DM) of wheat in well watered conditions and improve the growth under drought conditions by maintaining high leaf area. It insures high assimilatory capability, thickening leaves which are beneficial to reduce the transpiration loss of water. Therefore, application of Si may be an available pathway to increase production of wheat crop in arid or semi arid areas. Silicon did not change the relative water content (RWC) and water potential without drought stress. But drought stress decreased them, and they were higher in the presence of added Si than absence (Table 9). Therefore, Si application could improve the water status under drought conditions. The leaf area was also significantly increased by Si in the well-watered conditions. Silicon application improved water economy and DM yield of wheat . Silicon is reported to accumulate in the plant body of various crops like rice that enables the plants to tolerate the drought stress. The response of crops to silicon application in rice and sugarcane have been extensively investigated both in solution and soil culture [91, 92, 93]. Silicon tends to maintain erectness of rice leaves and clumps there by increasing the photosynthesis because of better light interception. In a study done by Gong et al. it was found that wheat plants grown in pots with silicon applied before sowing had greater plant height, leaf area, and dry materials as compared to those without Si applied in well watering conditions. In the stress conditions, plants grown in Si-applied soil could maintain higher RWC, water potential and leaf area as compared to those without Si applied. Moreover, the Si applied plant dry materials were not significantly changed by drought while those of plants grown in pots without Si were significantly decreased, and this was mainly due to growth inhibition of the shoots. Drought stressed wheat growing in pots with Si applied had a significantly greater leaf weight ratio and lower specific leaf area compared to those of stressed plants in the absence of applied Si. This demonstrates that the leaves of stressed plants growing in pots with applied Si were thicker as compared to those without Si. This may have a beneficial effect by reducing the transpirational loss of water and maintain high RWC and water potential. With the increase of Si levels, the dry weight of the plant will increase together with its height and number of tillers . It increases leaf area which enhanced photosynthetic rate and prevent the destruction of chlorophyll (Tables 10, 11). Effects of potassium silicate on the morphological characters were more at tillering stage in rice as compared to sodium silicate. The studies found that the addition of Si in nutrient solution increased the Si and Ca concentrations in the leaves as well as in roots . The Si treatments largely improved the total DM, chlorophyll content, and RWC and proline accumulation. An increase in DM and growth rate of wheat crop was reported by silicon application under drought stress conditions . Si nutrition improves the light-receiving posture of the plants, thereby stimulating photosynthate production in plants . It also plays an important role in phosphorus nutrition having an interrelationship with phosphorus . The role of exogenous application of siliceous materials to rice and sugarcane and their responses varied with the soil type [91, 98]. Optimization of Si nutrition increases mass and volume of roots, increasing total and adsorbing surfaces [99, 100]. Application of silicon fertilizer increases the dry weight of barley by 21 and 54 % over 20 and 30 days of growth, respectively, relative to plants receiving no supplemental silicon . Silicon fertilizer increases root respiration . A germination experiment with citrus (Citrus spp.) has demonstrated that with increasing monosilicic acid concentration in irrigation water, the weight of roots increased more than that of shoots . The same effect was observed for bahia grass (Paspalum notatum Flügge) . Silicon fertilizers are applied to crops in several countries for increased productivity and sustainable production. It was found beneficial to barley, wheat, corn, sugarcane, cucumber, citrus, tomato and other crops . Several studies have suggested positive growth effects of silicon nutrition, increased biomass, yield and pollination . Application of Si improves growth of maize and increases its production and yield in arid or semi-arid areas under water-stress conditions . Mukhtar et al. revealed that silicon nutrition has significant effect on crop growth, physiological attributes and yield parameters. The effect was more significant for wheat variety Chakwal-50 under 10 % Si application with irrigation as compared to other genotypes under other levels of Si concentrations. It boosted up crop growth and accumulation of more photoassimilates from source to sink and consequently, it led to higher grain yield. Ahmed et al. 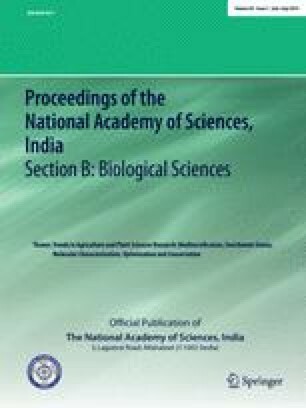 found that the increase in silicon leads to increase in leaf area index (LAI), specific leaf weight, chlorophyll content (SPAD), leaf dry weight (LDW), SDW, root dry weight (RDW), total dry weight (TDW) and remarkable decrease in leaf water potential and shoot to root ratio in sorghum cultivars as compared to control treatment. When silicon concentration is applied with irrigation LAI, SPAD, LDW, SDW, RDW, TDW, net assimilation rate, relative growth rate, leaf area ratio and water use efficiency increased by 30, 31, 40, 30, 28, 30, 27, 35, 32, 30 and 36 % respectively as compared to water deficient treatment. These results suggest that silicon application may be useful to improve the drought tolerance of sorghum through the enhancement of water uptake ability. Mukkram et al. also found Si increased growth and yield due to decreased Na+ uptake in wheat under salt stress. Abro et al. in wheat crop reported that, when silicic acid was applied at 0.25–0.50 % level as fertilizer, the rate of germination was increased; while if its level exceeded this limit, the germination rate and yield was reduced. Hence, it is suggested that Si in lesser amounts can be beneficial in increasing grain yield and growth of cereal crops. Singh et al. reported that 180 kg ha−1 of Si increases N and P content in grain and straw of rice which results in increased DM and yield. Due to a synergistic effect, applied Si has the potential to raise the optimum rate of N, thus helping to enhance yields . Raid et al. reported an average increase of 20 % in sugarcane yield by the Ca silicate application at 3 tons/acre. Its application benefited both crops in a rice-sugarcane rotation when applied prior to rice planting . Sugarcane yield responses to Ca silicate application ranged from 0 to 9 tons sugar/acre/year with relative yield being reduced to as much as 23 % without application . Research findings from China revealed that rice yield of 7.5 t/ha require 750–1,500 kg ha−1 of silica. On an average, 1,125 kg ha−1 of silica is required to achieve that yield. This far exceeds the absorption of the three major plant nutrients namely nitrogen, phosphorous, and potassium. Application of Si in rice increased the grain yield under both upland and water logged conditions . The application of silicate augmented its absorption by rice plant other nutrients as well. With adequate Si the uptake of nitrogen was increased [115, 116]. However, decrease in N content was also reported in rice in response to Si addition to solution culture [77, 117]. Greenhouse and field experiments showed benefits of Si fertilization for rice, barley, wheat, corn, sugarcane, cucumber, tomato, citrus and other crops . Silicon plays an important role in hull formation in rice and grain quality . The hulls of poor-quality, milky-white grains (kernels) are generally low in Si content, which is directly proportional to the Si concentration in the rice straw . Studies at IRRI indicate that Si deficiency always reduces the number of panicles per square meter and percentage of filled grains . Barley grains that were harvested from a silicon-fertilized plot had better capacity for germination than grains from no silicon fertilizer applied plots . Poor Si nutrition had a negative effect on tomato (Lycopersicon esculentum Mill.) flowering . It is important to note that the application of Si fertilizer accelerated citrus growth by 30–80 %, speeded up fruit maturation by 2–4 weeks, and increased fruit quantity . A similar acceleration in plant maturation with Si fertilizer application was observed for corn . Sorghum accumulates silica in the form of phytoliths. It enhances the crop quality, yield, growth and protects the plant from various biotic and abiotic hurdles . Unlike conventional fertilizers, Si fertilizers are available only in limited quantities and often are too expensive for most farmers to afford. Supplemental Si has been provided to be beneficial when silica concentration falls below 1 % in straw and to avoid this problem Si bearing materials have been recommended for field application . Although it is not possible to recycle all Si removed by crops, serious recycling will help to mitigate the problem of soil Si depletion, thus reducing Si fertilization requirements. It is to be noted that rice farmers in the Cauvery delta in India regularly apply 3–5 tones river sand (SiO2) per hectare once in 2–4 years. It is presumed that sand loosens the heavy clay but in reality it restores the silicon removed from soil by continuous mono-culturing of rice. Some recent significant strategies are as under. Recycling of organic siliceous materials: application of organic siliceous materials like straw, husk and husk ash enhanced root and shoot length, plant height, total as well as productive tillers per hill, filled grains and 1000 grain weight in rice. As rice leaf and stem generally contains 5–6 % (ranges from 2 to 10 %) Si, and rice husk contains 10 %, thus returning the crop residues back to the soil will help to replenish Si in the soil [32, 91, 98]. The most suitable time of Si application in rice is about 60 days before harvesting. Addition of silicate amendments: Application of potassium, magnesium and calcium silicate increases the rice yield. On an average 10–30 % increased yields were recorded through silicate amendments . Application of nanotechnology: In recent years, the application of nanotechnology has led to the production of granulated and liquid silicon fertilizer with high bio-availability. This new Si fertilizer can easily penetrate the leaf and form a thick silicate layer on leaf surface. IRRI research indicates that Si deficiency can be rectified by the application of calcium silicate slag at the rate of 120–200 kg ha−1 or potassium silicate at 40–60 kg ha−1 . Phytoliths that are located mainly in shoots of monocots return to the soil through litterfall if the plants are not harvested and contribute to the biogeochemical cycle of Si. According to recent progress made on the understanding of the biogeochemical cycle of Si and the weathering process of silicate minerals, phytoliths may significantly contribute to the resupply of Si to plants. The authors suggest that straw of crops, which contains large amounts of phytoliths, should be recycled in order to limit the depletion of soil bioavailable Si. Inoculation of silicate solubilizing bacteria (SSB) with organic siliceous materials recorded further enhancement. Improvement of plant growth and crop yield by liberating the soil nutrients through seed bacterization and soil application of biofertilizers are practiced by farmers all over the world [125, 126]. The solubilization of silica by bacteria is considered as a source of supply for crops. Soil contains a variety of micro organisms but a few are capable of solubilizing silicates. Several microbes like Bacillus caldolytyicus, Bacillus mucilaginosus var siliceous, Proteus mirabilis, Pseudomonas and Penicillium were found to release silica from natural silicates [127, 128]. A virulent SSB was isolated and tested on a variety of crops in different soils. Inoculation of SSB was found to release soluble silica in soils and also from silicate minerals. This bacterium is used as a bio-fertilizer and found to enhance the growth, suppresses pest and diseases and increase the crop yield. A Bacillus species was isolated from granite crusher yard soil and upon inoculation this SSB to rice increased the biomass and grain yield. In soil incubation studies with four different soils found that SSB inoculation released silicon and concurrently released phosphorus and potassium. It was suggested that besides silicon, silicate minerals contain potassium, calcium, magnesium, iron and zinc and therefore inoculation of SSB to soil may benefit the crop by releasing several of these nutrients [129, 130]. Soil incubation studies revealed that inoculation of SSB to sterile and unsterile soil solubilized silica in water and enhanced the available silica in soils (Tables 12, 13). Field trials conducted with SSB showed that this bacterium enhanced the growth, chlorophyll content, 1,000 grain weight, filled grains, biomass and yield in rice (Table 14). The inoculation of SSB with organosiliceous material like rice straw, husk and husk ash (black char/ash) augmented the grain in rice. Ciobanu found that ‘Azotobacterin’ and ‘Silicabacterin’ when applied simultaneously increased the yields of raw cotton up to 34 % . Field inoculation of silicate bacteria enhanced yield of maize, wheat, potato and tomatoes . The beneficial effects of SSB on lucerne and maize were also shown by Vintikova . The solubilized silicon has a larger interaction with other nutrients particularly phosphorus. The Si in solution renders phosphorus availability to plants reversing its fixation as Si itself competes for phosphorus fixation sites in the soil. It is to be noted here that to some degree Si acts as a substitute for P in plant system. In soil system also application of silicates released more of phosphorus . The depletion of available Si in soil is an important soil-related factor that may be closely associated with progressive yield declines experienced in various crops, especially in the tropics. To date the issue of Si nutrition in crop production remains largely unexplored. Identifying and implementing strategic Si nutrition management strategies may play very well critical role in reversing declining yield trends in crop production. There is need for applied research to quantifying monosilicic and polysilicic acid contents to elaborate optimum Si rate and best time and methods of its application. This is imperative so that the application of Si may be one of the available pathways to improve crop growth and its production in arid or semi arid areas.